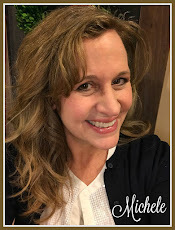 shelstring blog: A Cheery Welcome! After such a long, cold and gray winter, it has been so refreshing and enjoyable to finally have rising temperatures and a little bit of sunshine. 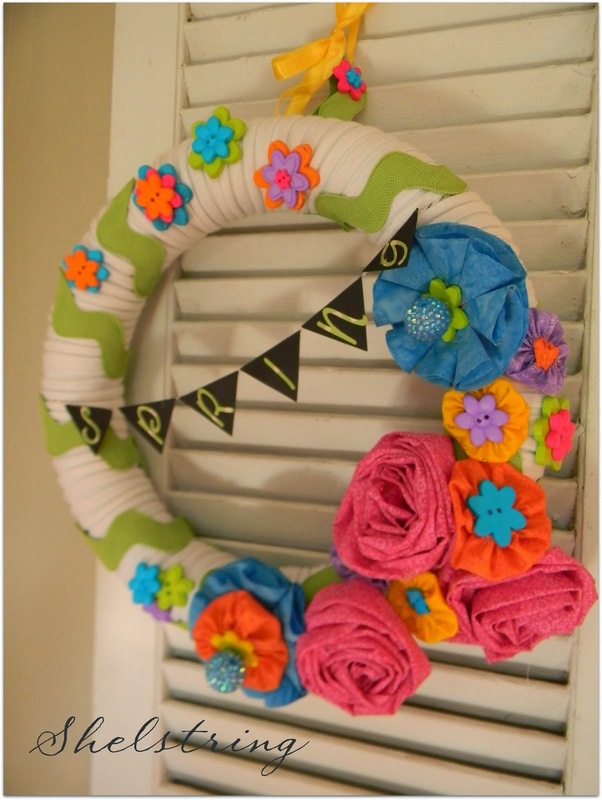 After I found a foam wreath I had laying around, I knew I wanted to make my semi-annual wreath to welcome Spring! 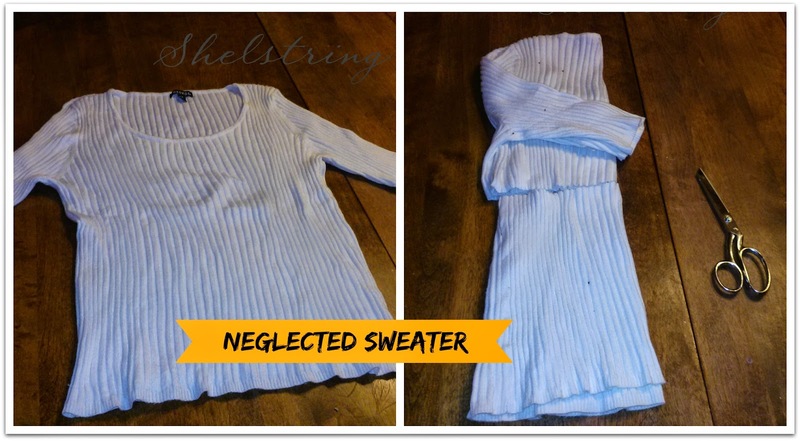 I covered it with a sweater I got cheap at Wal-Mart a few years ago and never really wore. I cut it under the seam of the arms and wrapped it around the form. While I brainstormed the possibilities, I was inspired by these fun buttons that my mother bought my daughter from JoAnne Fabric on her last visit here. After picking them up a gazillion and one times, I decided to use them as well. 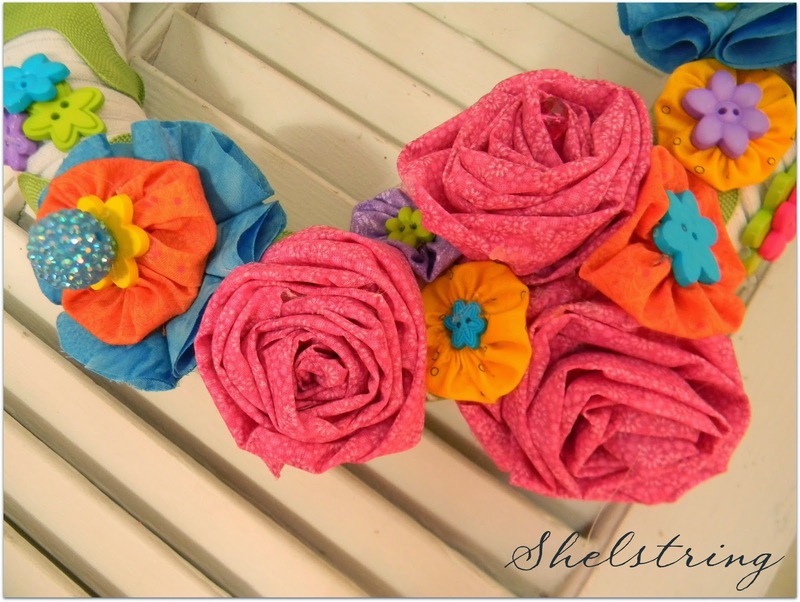 I just couldn't resist the brightly colored, cheerful fabric stash I had hanging around my craft closet, and started making fabric flowers. 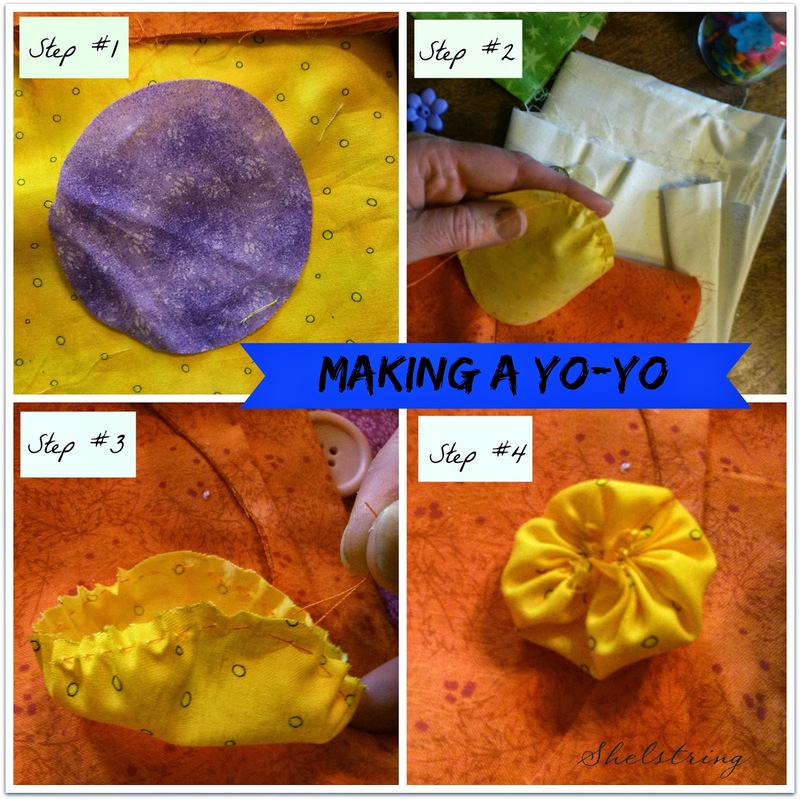 My favorite for this project was the yo-yo. It is super easy and gives such a great look. 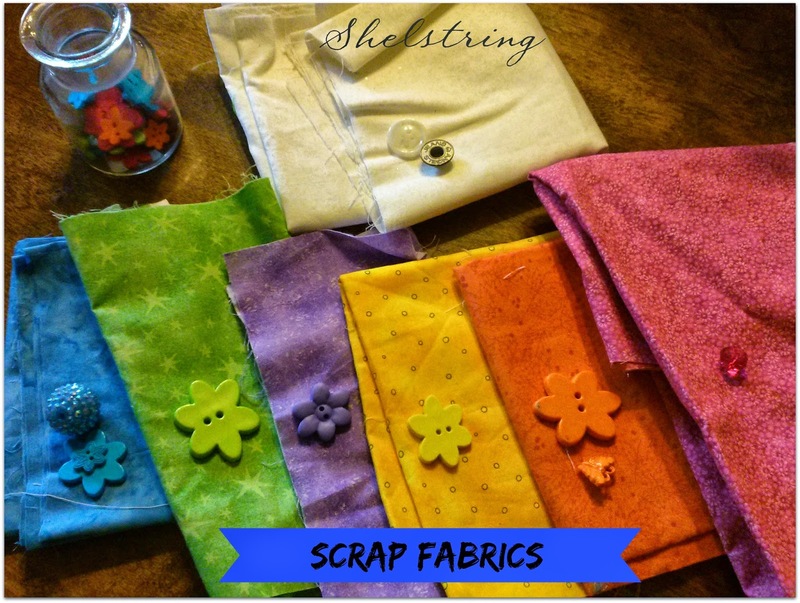 These are typically used in quilting, so I picked up on how to make them years ago when I first started really sewing. They are the perfect beginner project. 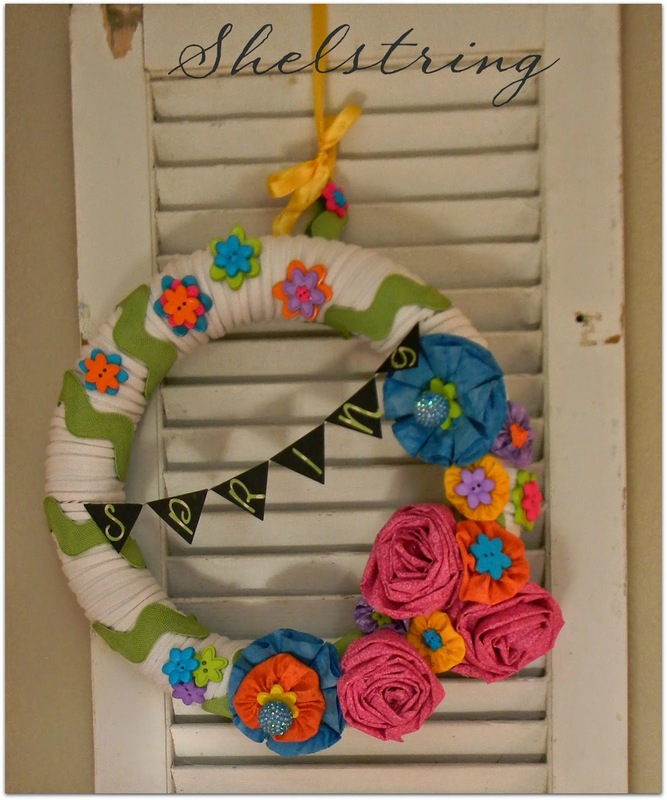 I love the look of the banner I've seen on a great many wreaths, so I made one using my cricut. Such a fun, creative way of expressing a message. 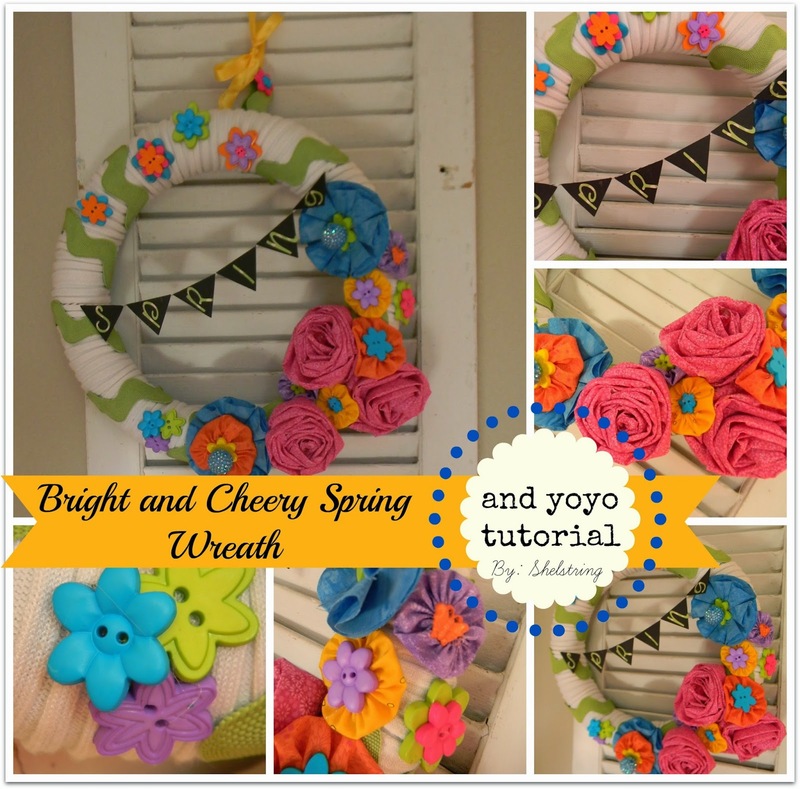 Clustering and layering was the fun part about this wreath. All of the flowers I made here were super easy ones that I've made before. 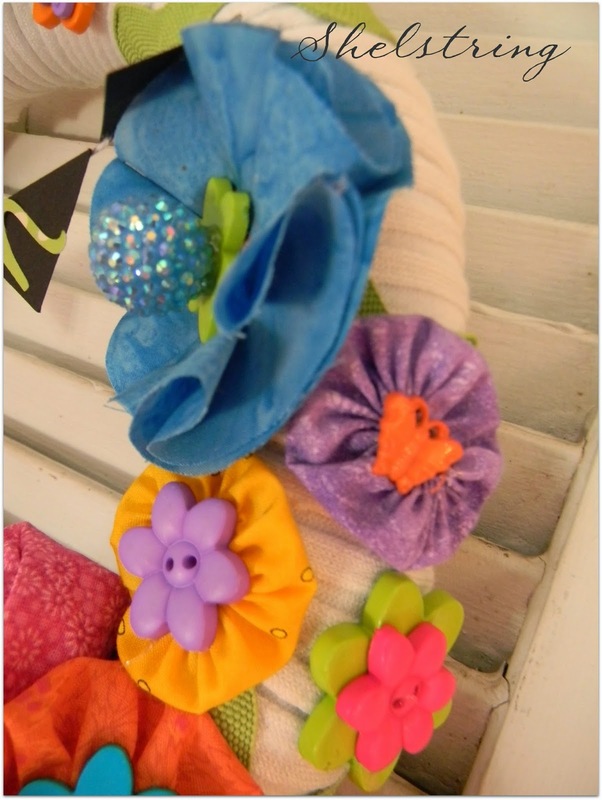 There are some really great tutorials you can find on my ruffles, flowers, and bows Pinterest board. Here it is displayed on an old shutter. But I can't wait to display it on my front door to give a cheery welcome to guests along with the beauty and promise of life Spring brings with it. That is s very happy wreath!